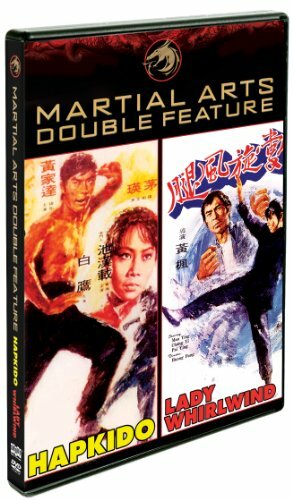 Three students (including Angel Mao Ying) are expelled from Korea and move back to China to start up a martial-arts school in Hapikdo, but like in Bruce Lee’s Fists Of Fury, a rival Japanese martial-arts club will do all they can to crush any competing club that opens in their area. Also starring Carter Wong (Big Trouble In Little China) and Sammo Hung Kam-Bo, with cameos by Biao Yuen, Corey Yuen and Jackie Chan, Hapkido is a rip-roaring martial-arts masterpiece! Tien (Angela Mao Ying) arrives in town seeking revenge on the man, Ling, who abandoned her pregnant, causing her to take her own life in Lady Whirlwind. Ling is on a mission to take down the leader of the gambling and opium syndicate. Tien agrees to help him but she still plans to take her revenge on Ling. Also starring Sammo Hung Kam-Bo and Yi Chang (The One-Armed Swordsman).